Delt’Nic has provided a place where sorors, regardless of their chapter, can come together and fellowship. Delt'Nic allowed sorors who may have been a part of chapters all across the country, or chapters here in NY, to meet and bond with other sorors who live right here in NYC. Over the years, there have been stories from soror's who met each other because of Delt'Nic and have remained close friends ever since. That sisterhood was is and will continue to be the essence of Delt'Nic. Chapter Representatives were implemented to help us achieve the original mission of Delt’Nic. Each chapter has one official chapter representative, but more are more than welcome to assist. Each Rep is instrumental in serving as the fibers that hold the Delt'Nic fabric together. Chapter Reps are the lifeline between their Chapter and Delt'Nic, serving as a liaison between the two. The Epsilon Pi Chapter was chartered on July 17th, 1965 by 11 Elevated and Powerful women. Epsilon Pi covers various schools throughout Brooklyn. For 51 years and counting, the Epsilon Pi Chapter has channeled the tenants of Sisterhood, Scholarship and Service to Kings County serving the Brooklyn community just as our illustrious and dynamic Founders did before us. The Epsilon Tau Chapter was chartered on July 31,1965 by 11 Exceptionally Talented women. Epsilon Tau covers 4 year institutions in both the Bronx and Manhattan. After receiving Chapter of the Year during the 2015 National Convention in Houston, Texas, while celebrating our Golden Anniversary, we continue to keep the Torch held high and model our morals after our trailblazing Founders. The Pi Delta Chapter was established at Stony Brook University on May 12, 1984. The chapter was charted by 11 wonderfully dynamic and dedicated ladies, creating a legacy of strong sisterhood bonds forged through service, a legacy that has been blazing strong for over three decades. 22 lines and 132 women later, the Pi Delta chapter continues to serve the community and be leaders on the Stony Brook campus, being recognized with the Outstanding Female Greek Organization Award 3 out of the past 4 years. The Pi Rho Chapter was chartered Sunday, May 1st 1988 on the campus of LIU Post. The Pi Rho Chapter primarily serves the Nassau County community in addition to the New York Metro City area. With over 10 lines initiated since its charter date, Pi Rho continues to celebrate a diverse group of phenomenally dynamic women; from educators to connoisseurs of the Arts. Whether in the classroom, boardroom, hospital or dance studio you'll be sure to find a Soror of Pi Rho. After ten years of belonging to the xi gamma city-wide chapter, our Sorors saw the need to establish a campus-based chapter at SUNY Old Westbury. The Prestigious Pi Sigma chapter was chartered on May 1, 1988. Since, its inception, the Pi Sigma chapter, has been actively working towards fostering an informative, supportive, and inclusive student community by providing opportunities for all students to increase their awareness of social, cultural, political, and educational issues affecting the world. The Glorious Gamma Kappa Chapter was chartered in 1942, becoming the first chapter representing a historically African- American sorority in the Buffalo-Western New York region. Gamma Kappa's distinct Legacy of Love, Traditions and Excellence manifests through our lineage while upholding the Cardinal Virtues of our beloved Sisterhood. The Gamma Kappa Chapter is a city-wide chapter consisting the following institutions: University at Buffalo (SUNY); Buffalo State College (SUNY); Daemen College; and D'Youville College. The Elegant and Distinguished Epsilon Delta chapter was chartered on July 24,1960 on the campus of Temple University by fourteen dynamic women. The Epsilon Delta chapter hosts programs and community service projects to serve the Temple University student body and the surrounding community. 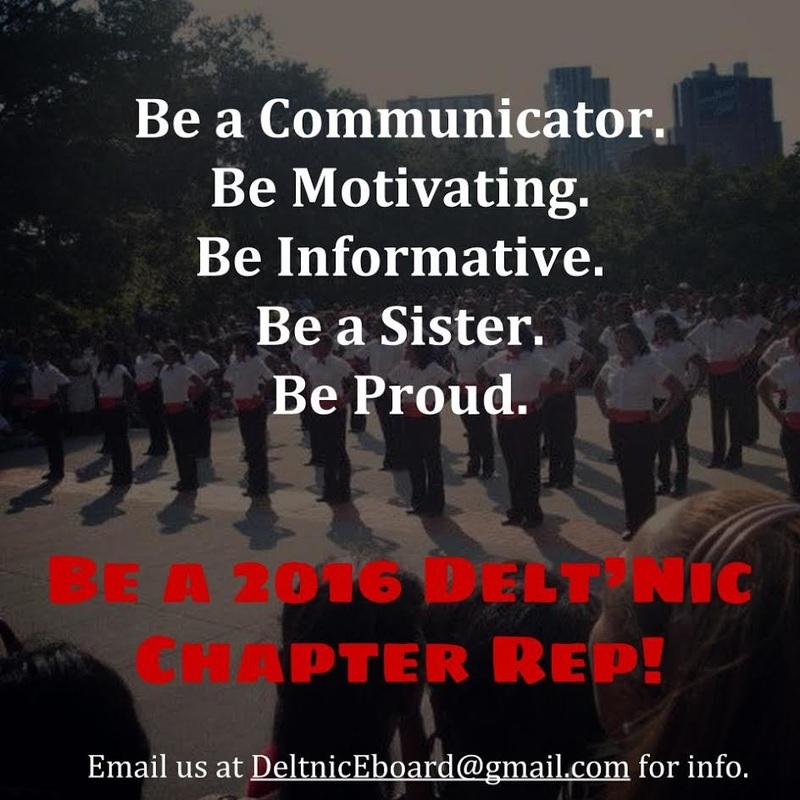 Some of the chapter programs include; the annual hunger banquet, Kwanzaa celebration and sickle cell Jump-a-thon. With 50 lines and over 300 women initiated, the Epsilon Delta chapter continues to uphold the ideals of the sorority across the globe. The Pi Eta chapter was chartered March 17, 1985 on the campus of Binghamton University in Vestal, NY. Since that time, over 100 women have come through the chapter, contributed to the enrichment of the Binghamton University campus community, and dedicated themselves to a lifetime of service while upholding the ideals of the sorority.